While over-the-counter teeth whitening kits can produce satisfactory results, they typically pale in comparison to results using professional teeth whitening techniques. 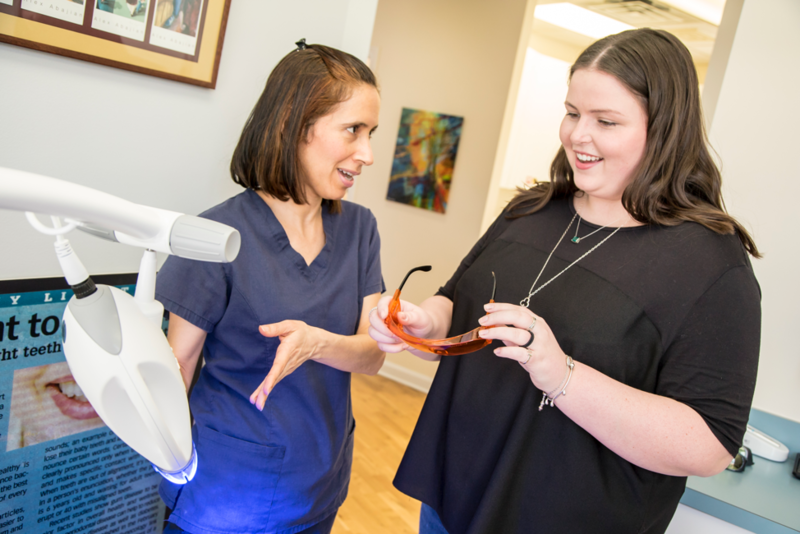 If you’re looking to utilize the services of a professional teeth whitening dental practice in Lincoln Square, Dental Innovations is a great place go. Are you trying to decide whether you should go with a professional treatment vs. a DIY approach? Here are five reasons why choosing a professional teeth whitening treatment may be the best course of action. What’s the Difference between Professional Whitening and DIY Whitening? While both professional whitening and DIY whitening can provide noticeable improvement, the results produced by professional whitening tend to be faster, more dramatic, and longer-lasting. In-office whitening procedures are carried out by trained dental professionals, ensuring that they’re done in a safe and effective manner. Some DIY whitening techniques can be overly abrasive, and may result in damaged enamel. Do you have an important job interview coming up? If so, it’s important that you make a good first impression. This is why many people have their teeth professionally whitened before they go on a job interview. A professional teeth whitening will give your smile the extra sparkle it needs to stand out. Perhaps you’re about to get married? Your wedding day will be captured in photos that will be looked at decades from now, and you’ll likely be smiling a lot. Obviously, you’ll want to be looking your best. Perhaps your teeth are discolored after years and years of coffee, tea, wine, or smoking? Maybe you have stains from medication or fluorosis? If so, you could truly benefit from having your teeth whitened professionally. Those with notably discolored teeth will generally not see much improvement from DIY teeth whitening solutions. Professional treatments are strong enough to make a difference for severely stained teeth. There is a tangible correlation between white teeth and high confidence levels. If you’re insecure about the look of your teeth, a professional whitening is the easiest way to improve your smile. Unlike at-home whitening solutions, in-office solutions will provide substantial and lasting results. As we age, teeth tend to become darker. What’s a good way to reverse the effects of aging? Having your teeth professionally whitened by a dentist is a great option. Are you interested in trying professional teeth whitening services? Are you looking for a teeth whitening service in Chicago’s Lincoln Square neighborhood? The dental professionals at Dental Innovations are the experts to see. We offer several whitening options to address your specific needs. Contact us today to schedule a teeth whitening appointment or consultation! Dental Innovations is a dental practice located in a state-of-the-art facility in Chicago's Lincoln Square neighborhood. Please contact us anytime during our office hours with questions or to make an appointment. Or feel free to leave us a message, and we'll get back to you as soon as possible. We look forward to hearing from you! We speak Spanish, Arabic, and Tagalog. © . Dental Innovations. All Rights Reserved.